Anglo American’s (LON:AAL) plans to further expand its massive Minas Rio in Brazil hit a roadblock this week after the public prosecutor for the state of Minas Gerais, where the iron ore mine is located, told the company to reschedule two public meetings originally tabled for Sep. 20 and 21. The order, the company said in a statement (in Portuguese), stemmed from the its failure to inform the municipality of Conceição do Mato Dentro of the upcoming meeting, even though the town is one of the communities to be affected by a potential new expansion of the mine. 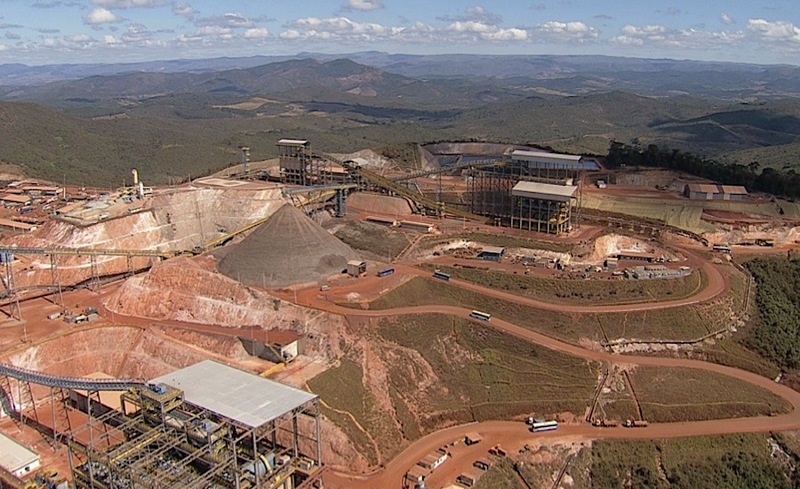 Anglo is attempting to receive a licence for a third and final expansion of Minas Rio, which will allow the mine to ramp up production to 26.5 million tonnes of iron ore a year. This is not the first time a local judge asked Anglo to reschedule a public hearing about Phase 3 of Minas Rio. In April, a minor court ruled that the miner had not announced the hearing in the way stipulated by law, and that it also failed to provide locals with environmental impact studies early enough for them to read and analyze the proposal ahead of time. Anglo has already been granted permission for a second phase at Minas Rio, but is now attempting to receive a licence for a third and final expansion, which the company hopes to get by June 2018. According to Anglo, the third phase is critical for the mine to reach full capacity of 26.5 million tonnes of iron ore a year by 2019. Together with increasing the current pit's size, the project is expected to generate 800 new jobs during construction, adding to the more than 4,500 positions the project has already created, it said in the statement. The final expansion will also allow the century-old company to continue operating for at least another 20 years in the iron ore-rich region. Getting to this point has not been easy for the Anglo-Australian firm. After spending $5.5 billion between 2007 and 2008 to buy the developing mine from Brazilian ex-billionaire Eike Batista, the company had to invest another $8.4 billion, more than twice what was originally projected, to bring it to production in 2014. Main tailings pond at Minas Rio, with a capacity of 370 million cubic metres, is seven times larger than the Samarco's facility that broke in 2015. And while prices for the commodity have recovered lately (they climbed 81% in 2016), this year’s extreme volatility is casting doubts on whether Anglo’s costly bet for iron ore will or will not eventually pay off. On top of that, there are mounting concerns over potential environmental damage an accident similar to the one affecting the Vale-BHP joint venture in 2015 could have caused. The main tailings pond at Minas Rio, with a capacity of 370 million cubic metres, is seven times larger than the Samarco's facility that broke in 2015, killing 19 people and contaminating hundreds of kilometres of the Doce river valley and the sea around the river mouth. According to the London Mining Network, a coalition of environmentalists and campaign groups, communities below the Minas Rio dam are in the area defined as a “self-rescue zone” because there would not be enough time for competent authorities to intervene in case of an incident. Anglo American has noted that Phase 3 of the mine expansion includes plans to reinforce the dam. The technical design and the construction of the tailings dam, says the company, differs from Samarco’s in that is a “downstream” construction as opposed to the “upstream” structure that failed in 2015. It would mean that heightening Minas Rios dam wouldn’t involve constructing each extension over the compacted, but potentially unstable, wastes in the tailings pond.